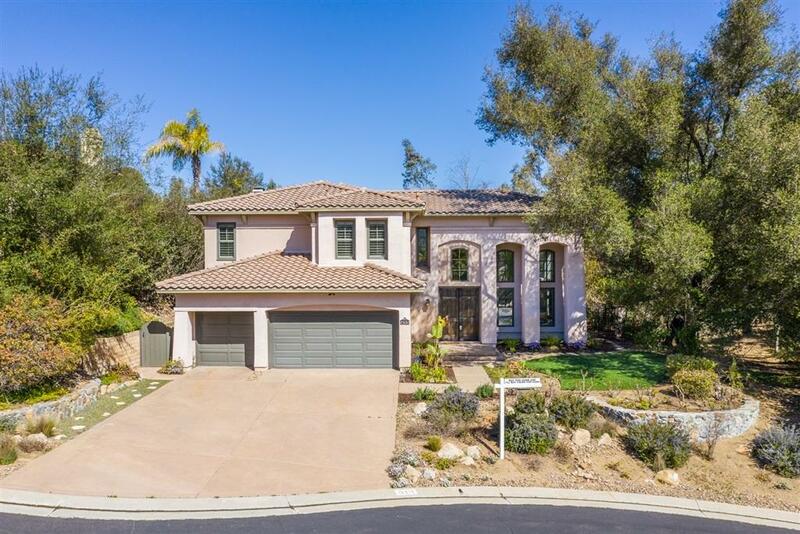 16515 N Woodson Dr, Ramona, CA 92065 (#190014133) :: Ascent Real Estate, Inc. 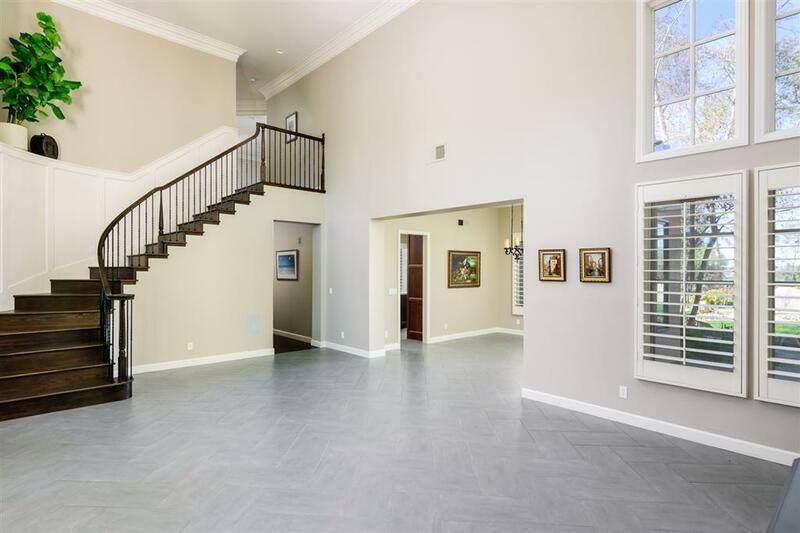 Enjoy beautiful mountain & golf course views from this exquisite Davidson Mission Series home in the award-winning Mt Woodson golf course gated community. 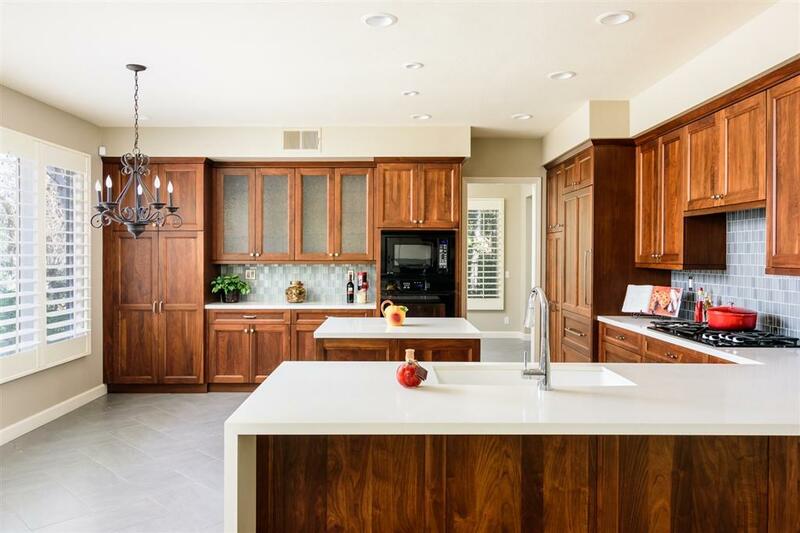 The beautifully remodeled kitchen features fine custom WALNUT cabinetry, modern quartz countertops, Sub Zero built-in fridge & Dacor appliances. Downstairs flooring is a herringbone porcelain tile. The iron staircase and upper floor are done with a wide, rustic wood plank. No carpet! Shutters. Pebble-surface spa. Huge outdoor entertainment center. See Virtual Tour for video. Last Mello-Roos payment in Feb. 2020. This lovely home includes: Spacious Master Bath with huge walk-in closet, gorgeous custom cabinetry, large, frameless-glass shower and deep standalone tub; Master Suite opens to a viewing deck with iron railing and a great view of the 4th fairway; Soaring ceilings; 2 precast stone fireplaces; Circular decorative iron-wood staircase; Large crown molding; Eat-in breakfast area with lovely views; Professionally landscaped yard designed for low maintenance and entertainment with water feature, BBQ entertainment center, and in-ground spa with pebble surface; Large, level lot with plenty of room for a pool and the rest. 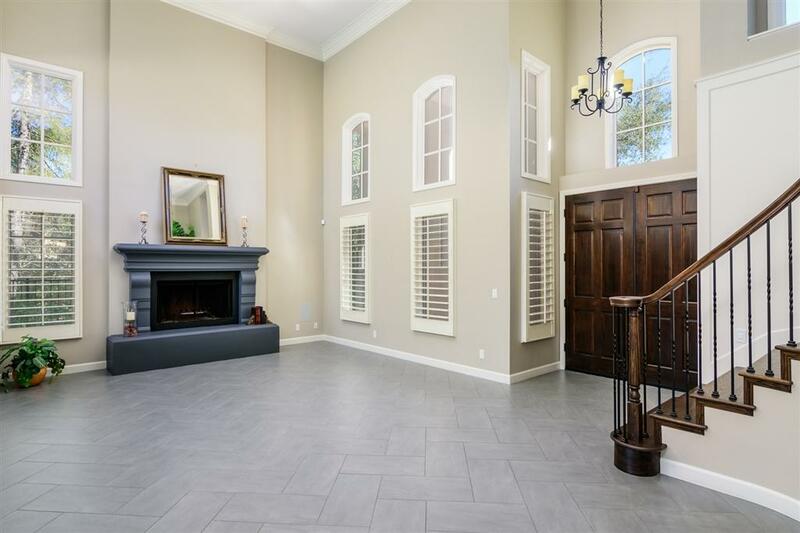 --- You'll be in awe of this fine home situated where hiking, biking & golf are just steps from your front door --- The award-winning gated Mt. Woodson community (10 minutes from Poway) was developed around the historic Amy Strong Castle and the Mt. Woodson Country Club and golf course. In 1991 and again in 1993, the Mt. Woodson development was honored by the Building Industry Association as San DiegoÃ¢â‚¬â„¢s best new home community. In 1992, the National Association of Home Builders named Mt. Woodson "Master Planned Community of the Year". Enjoy many sunny, clear mornings without coastal haze, halfway between the Pacific Coast and the high desert. The climate is drier than on the coast; a little cooler in the winter and a little warmer in the summer. We typically benefit from a light ocean breeze making the weather nearly perfect year-round! In April 2010, Mt. Woodson Elementary was honored to be named a California Distinguished School. The school has also received the prestigious National "Blue Ribbon" School award.